Phenomenal dinner recipe! Makes great leftovers too. Grains, vegetables, protein all in one meal. This is the trifecta! Thank you for a new staple! Oh goodness! I made this to take for lunch this week and I cannot say how good these bowls are. I found they made 4 servings easily. This is definitely going in the lunch meal rotation from now on! This was really good! I was a bit unsure about the beans, but they were delicious. I made my own taco seasoning, found a recipe on google and happened to have all the ingredients. Thanks Lindsay! Glad you enjoyed it, Kerri! 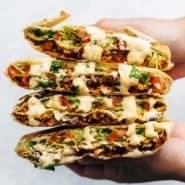 I tried this out—only in taco form—and it was super delicious. My kids gobbled it up! 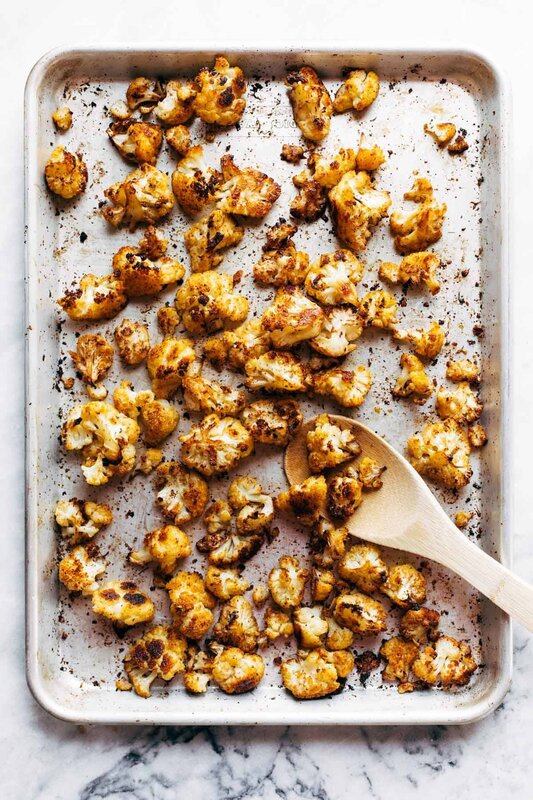 The cauliflower is super yummy roasted with the taco seasoning. Honestly, I could eat an entire pan by myself! Yum! 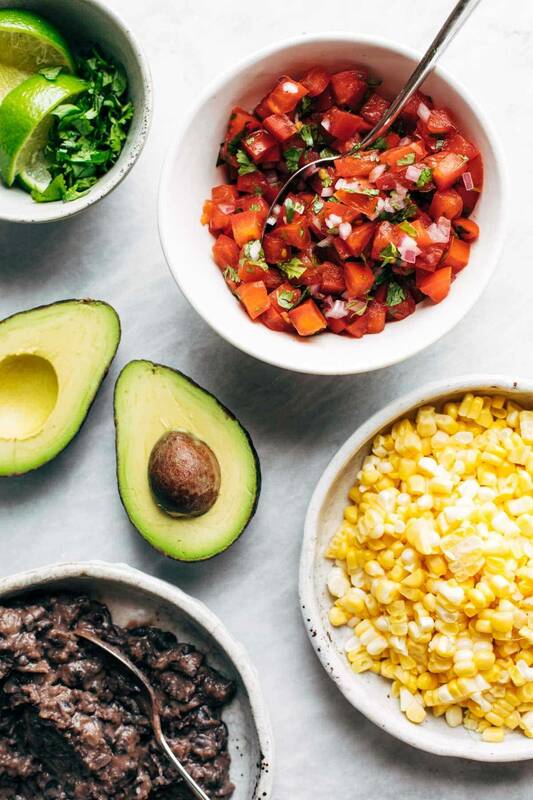 This would be so good in tacos – what a great idea! Cauliflower AND Mexican? To me, a perfect combination. 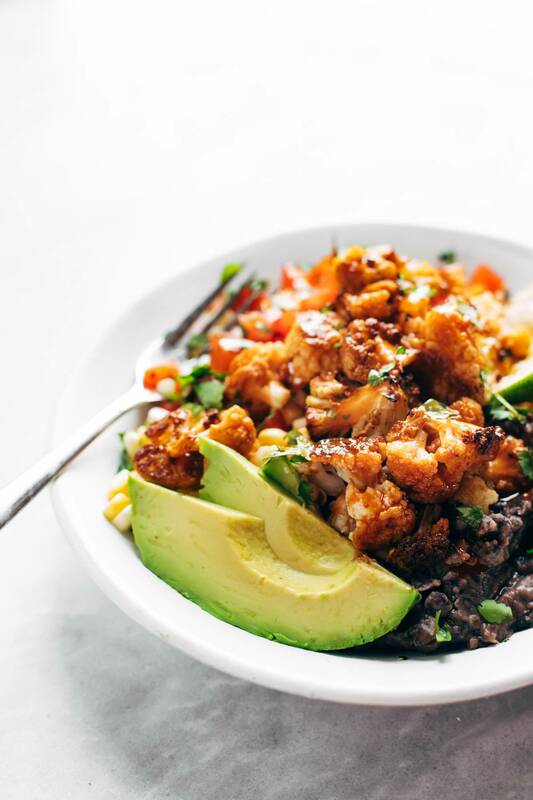 I am always looking for inspiration to get more cauliflower into my diet (it’s one of the healthiest veggies) and this is an ideal way of doing so! Thanks! Fantastic base recipe! We had a couple of sweet potatoes, so diced and tossed them in taco seasoning and a bit of cayenne and baked them until crispy – loved this addition of a sweet note to the already delicious salad. Not sure why I’m always surprised when I click a Pinterest link and it ends up being POY. 😂 Clearly they know I’m obsessed and your recipes just call to me. Can’t wait to try this one next! Hope you enjoy it, Desiree! Hey! I’m super pumped to make this tonight! Do you know how many grams of fiber are in it? Love making your recipes! Thank you!